BOSIET & HUET offshore survival training is targeted at personnel new to the offshore oil and gas industry or employed on an Offshore Installation. Delegates will gain a basic level of understanding and awareness of the hazards encountered when working on offshore installations, and of the safety regime and safety management systems in place to control and mitigate those hazards. HUET course is by default included in BOSIET and forms a part of BOSIET. 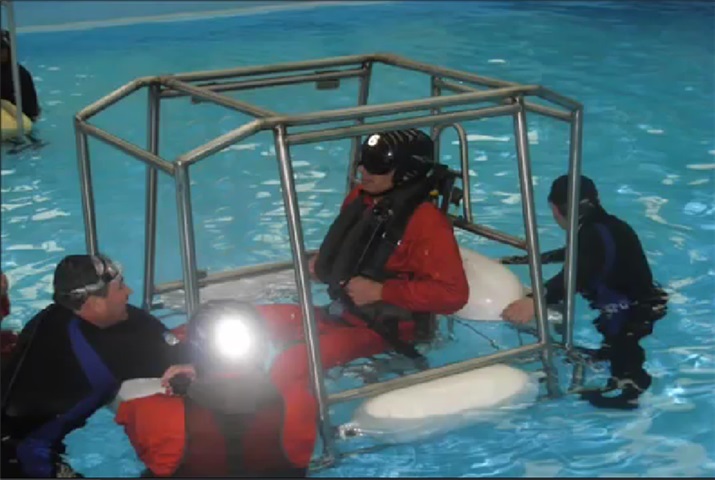 However candidates can also do only HUET course separately. All personnel desirous of working in offshore oil & gas and energy industry have to go through BOSIET or HUET course . (1) Identify the main offshore hazards and hazard effects/consequences; explain their associated risks, and how they are controlled. (2) Explain the potential environmental impact of offshore installation operations. (3) Identify key offshore installation safety regulations and explain the basic concept of these regulations. (4) Explain the principles of managing safety on offshore installations. (5) State the procedure for prescribed medicines offshore. (6) Explain the concept of alcohol and substance abuse policy. (7) Explain PPE requirements of working on an offshore installation. 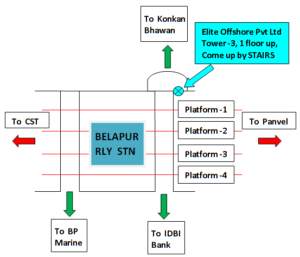 (8) Explain how to report incidents, accidents and near misses on an offshore installation. (1) Correct use of hand held portable fire extinguishers and which ones to use for different classes of fires. (2) Self-rescue techniques with a smoke hood from areas where visibility is reduced due to smoke. (3) Self-rescue techniques with a smoke hood from areas where visibility is completely obscured. (4) Small group escape techniques with a smoke hood from areas where visibility is completely obscured. (1) Donning of a permanent buoyancy lifejacket prior to use in an emergency. (2) The correct actions when mustering and boarding a survival craft (TEMPSC) as a passenger during launching operations. (3) Fitting of a helicopter strop and correct body posture during winching. (4) Individual and group sea survival techniques, to include: swimming, getting into Heat Escape Lessening Position (HELP), wave-slap protection, towing, chain, huddle and circle. (6) Boarding a marine liferaft from the water. (1) Donning an aviation transit suit, aviation lifejacket and EBS and conducting EBS integrity checks. (2) Actions to take in preparation for a helicopter ditching and an emergency landing. (3) Actions following a controlled emergency descent to a dry landing with evacuation via a nominated exit. (4) Deployment, operation and breathing from EBS in a pool utilising personal air prior to HUET exercises (delegate to experience positive and negative pressure created by the body orientation in water). (5) Actions following a controlled ditching on water (including deploying EBS and, on instruction from aircrew, operation of a push out window) and evacuate through a nominated exit to an aviation liferaft. (6) Assist others where possible in carrying out initial actions on boarding the aviation liferaft, to include mooring lines, deploying the sea anchor, raising the canopy and raft maintenance. (7) Escaping through a window opening which is underwater, from a partially submerged helicopter (without deploying EBS or operation of a push out window). (8) Escaping through a window opening which is underwater, from a partially submerged helicopter (deploying, operating and breathing from EBS equipment but without operation of a push out window). (9) Escaping through a window opening which is underwater, from a partially submerged helicopter (deploying, operating and breathing from EBS equipment and operation of a push out window). (10) Escaping through a window opening which is underwater, from a capsized helicopter (without deployment of EBS or operation of a push out window). (11) Escaping through a window opening which is underwater, from a capsized helicopter (deploying and operating EBS on the surface prior to capsize but without operation of a push out window). (12) Escaping through a window opening which is underwater, from a capsized helicopter (deploying and operating EBS on the surface prior to capsize and the operation of a push out window). (14) Boarding an aviation liferaft from water. Please click on below link to pay & book your course!